Swan Enviro Limited are committed to protecting and respecting any personal information you share with us. 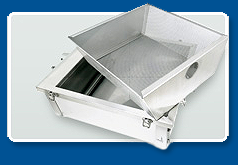 The processing of personal data, such as the name, address, e-mail address, or telephone number of data subjects shall always be in line with the General Data Protection Regulation (GDPR), and in accordance with the country-specific data protection regulations applicable to Swan Enviro Limited. 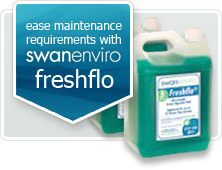 When using this general data and information, Swan Enviro Limited does not draw any conclusions about the data subject. Rather, this information is needed to (1) deliver the content of our website correctly, (2) optimize the content of our website as well as its advertisement, (3) ensure the long-term viability of our information technology systems and website technology, and (4) provide law enforcement authorities with the information necessary for criminal prosecution in case of a cyber-attack. Therefore, Swan Enviro Limited analyses anonymously collected data and information statistically, with the aim of increasing the data protection and data security of our enterprise, and to ensure an optimal level of protection for the personal data we process. The anonymous data of the server log files are stored separately from all personal data provided by a data subject. If you contact us by e-mail or via the contact form, your personal data is automatically stored. This data is stored for the purpose of processing or contacting you back. We do not sell or share your personal information with third parties. 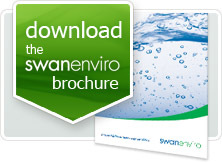 Swan Enviro Limited will only process information that is necessary for the purpose for which it has been collected. You will always have the option not to receive marketing communications from us (and you can withdraw your consent or object at any time). We will never send you unsolicited ‘junk’ email or communications, or share your personal information with anyone else who might. You can withdraw your consent at any time by contacting us on the details provided within the ‘How can I manage the information you hold about me’ section below or, in relation to any marketing messages you receive, by using the unsubscribe option included in those messages. In future, we may like to update our customers regularly by means of a newsletter about our latest news and information. We will only send you the newsletter if; (1) you have a valid e-mail address and (2) you have expressively given consent to receive the newsletter. A confirmation e-mail will be sent to the e-mail address registered by you, for legal reasons, in the double opt-in procedure. This confirmation e-mail is used to prove whether the owner of the e-mail address is authorized to receive the newsletter. During the registration for the newsletter, we will also store the IP address of the computer system assigned by the Internet service provider (ISP) and used by you at the time of registration, as well as the date and time of the registration. The collection of this data is necessary in order to understand the (possible) misuse of the e-mail address of you at a later date, and it therefore serves the aim of the legal protection of the us. 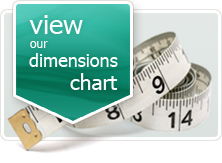 We will not hold your personal information in an identifiable format for any longer than is necessary. If you are a customer, supplier, or otherwise have a relationship with us we will hold personal information about you for a longer period than if we have obtained your details in connection with a prospective relationship. If we have a relationship with you, we hold your personal information for 6 years from the date our relationship ends. We hold your personal information for this period to establish, bring or defend legal claims. You have the right as an individual to access any personal information we hold about you, and make corrections if necessary. You also have the right to withdraw any consent you have previously given us and ask us to erase information we hold about you. You can also object to us using your personal information (where we rely on our business interests to process and use your personal information).